Regarding the Jester’s and Bard’s verbal patter skills, how do you reconcile them with the fact that all players should be able to try to befuddle a group or try to have them distrust someone through pure dialog with the DM? My answer: I generally play it by ear (heh). Ahem. Seriously, I tend to encourage the players to try their verbal patter on me (as GM) and then roll. If their actual attempts were lame, but they made the roll, then they succeeded anyway. If they were genuinely good at the table, I might give them a bonus to the roll, so if it was a mediocre roll, they might still succeed. Alternatively, it would be the case that if someone who did not have verbal patter as a class skill did a lousy job of trying to actual befuddle me at the table, they’d fail. If they did a great job, they’d probably succeed. They just wouldn’t have the chance to succeed on a die roll even when they do a bad job at the table. 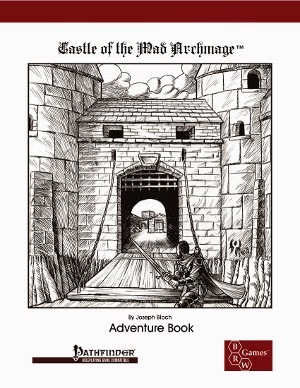 I am pleased to announce that the Pathfinder-compatible edition of the best-selling Castle of the Mad Archmage is now available, in pdf, softcover, and hardcover editions. 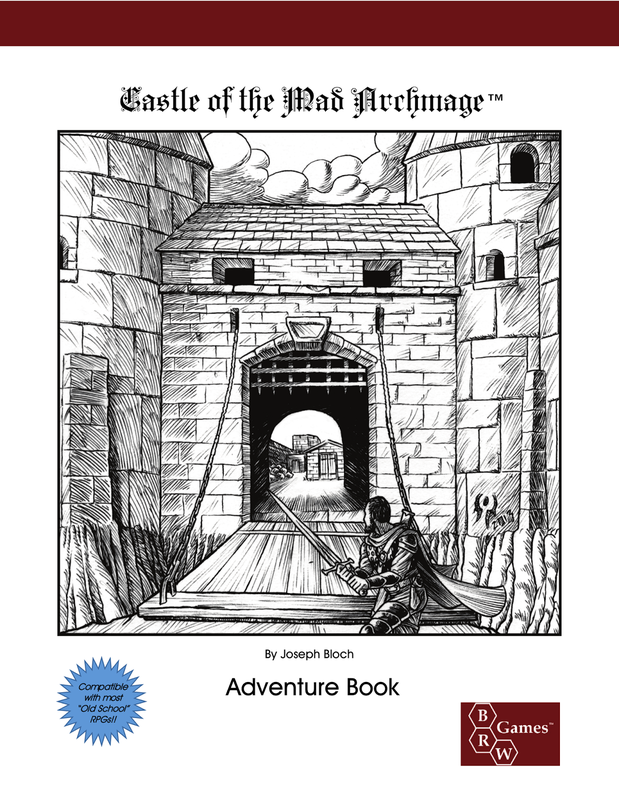 Converted by veteran Michael McCarty, Castle of the Mad Archmage features more than 1,500 keyed encounters on more than 13 dungeon levels, and includes new monsters, magic items, and spells. The Castle of the Mad Archmage is designed as an old-fashioned “funhouse” megadungeon, with tricks and traps, many different factions of monsters, and can provide literally years of mayhem, dismemberment, and other fun. 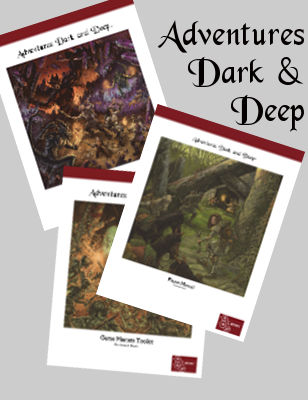 The adventure is comprised of three books; the Adventure Book, the Map Book, and an Illustration Book with pictures to show your players what they see at key and interesting points in the dungeon (due to a limitation of the RPGNow site, you must add all three of these books to your cart separately). This weekend the Roll for Initiative podcast did a very nice and in-depth review of Castle of the Mad Archmage. Very positive; most of the crew gave it four or four and a half swords out of five. Definitely check it out. The gate to Lewis Carroll’s Wonderland is in the mushroom forest in the Greater Caverns. 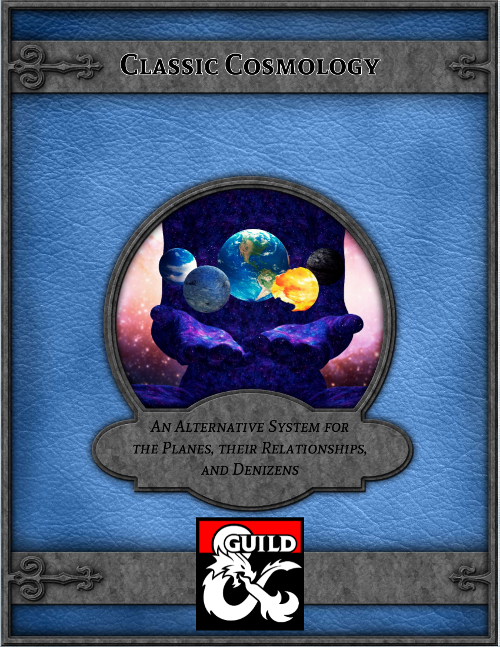 Unfortunately the three books can’t be bundled on DriveThruRPG/RPGNow because of a technical limitation of the site. You can’t do bundles of print books, so you have to add them separately to your cart. The pricing for the books was adjusted so that the total is what it would have been if I had been able to do a print bundle. The maps were printed in their own book based on playtest feedback. It’s *far* easier to have a separate book rather than needing to flip back-and-forth in one larger book. I found that out myself, too, running it for my group at home as well as at conventions. When the decision was made to do an illustration book (because the fans overwhelmingly said that was something they’d like to see), it made sense to treat it the same way. You’re correct about the designer’s notes that were in the original free version – they were excised because, as a published product under the OGL, I was much more sensitive to copyright issues. I might do some designer’s notes here on the blog, if people think it would be fun and/or helpful. Let me know! Anyone notice anything different about the cover? I can’t believe it. Two months after it was released, Castle of the Mad Archmage is still in the top ten best-sellers list on RPGNow.com. That kind of support really means a lot, and I would like to thank each and every one of you who has bought my magnum opus megadungeon, either in pdf or hard copy. 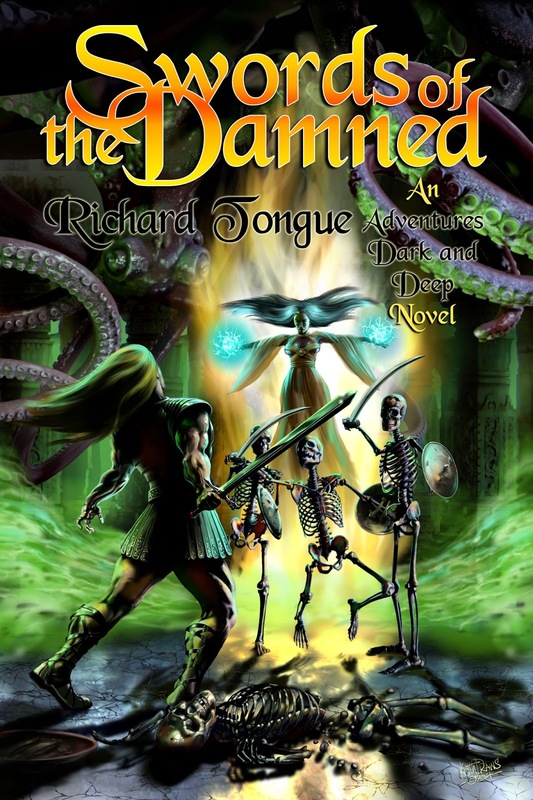 Swords of the Damned hard copy now available! You can get the softcover book from DriveThruFiction.com here, and don’t forget that the ebook format is of course still available directly from the author via Amazon.com (sorry, there’s no way to buy them both at the same time due to licensing). It’s really a nice book, and if you’re a fan of Adventures Dark and Deep or fantasy fiction in general, you should definitely check it out. Well that happened a little bit sooner than I was expecting! The book will be available in hardcopy in a few weeks, but don’t let that stop you from getting the ebook first (the ebook and hardcopy versions will be sold separately). It’s a nifty adventure novel, and well worth the $3.99 to get it on your Kindle. Personally, I can’t wait to have a dead tree version in my hand, but then again I am an old grognard, and set in my analog ways. This is also the first book in a trilogy, so more fun to look forward to! 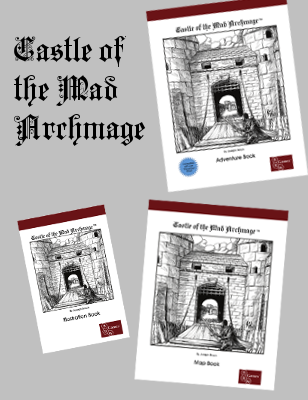 Castle of the Mad Archmage Now Available! 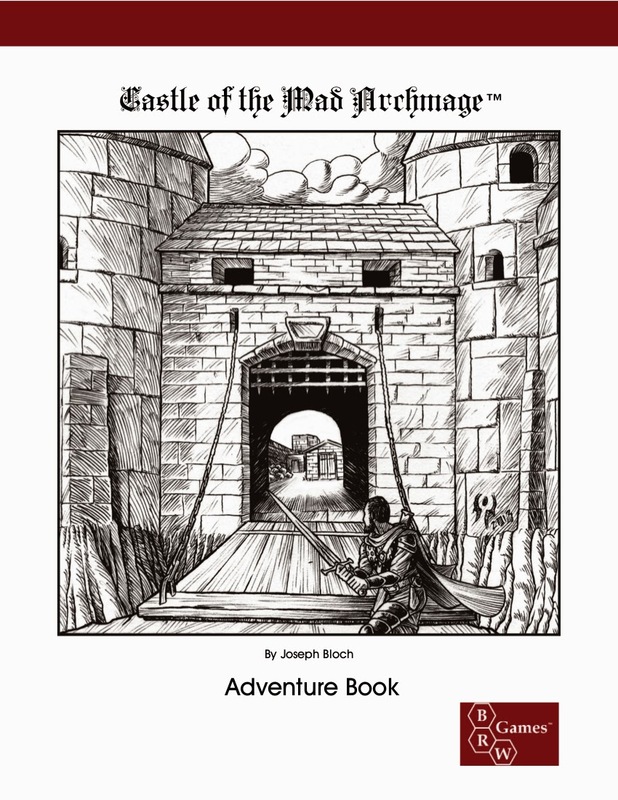 At long last, the print version of Castle of the Mad Archmage is now available! 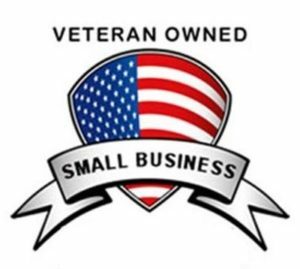 All three books are available in pdf format as well, and as always you get a free pdf copy when you order the hard copy books. 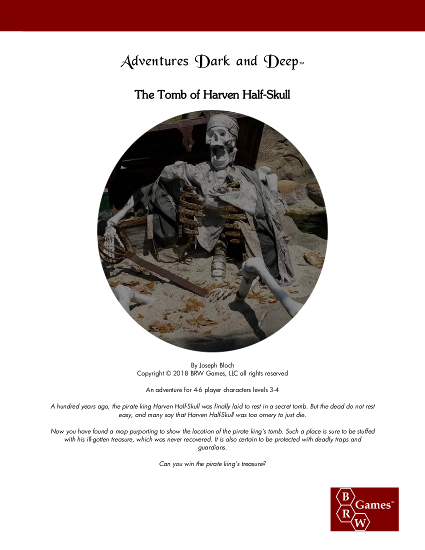 The adventure book was written with the Adventures Dark and Deep rules in mind, which means it can easily be used with most OSR-type rules. 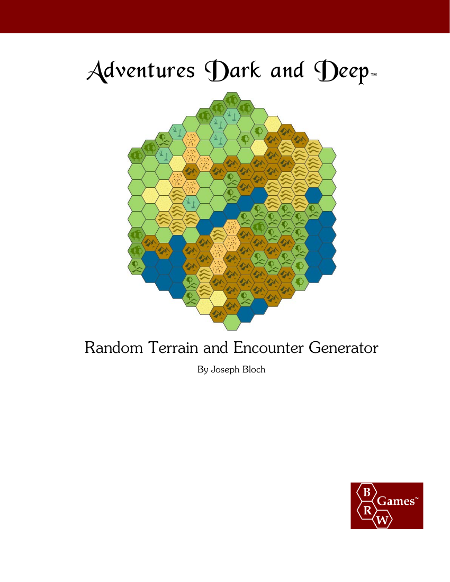 You can get get the whole set for $20 pdf, $35 with a softcover adventure book, and $45 with a hardcover adventure book (the map and illustration books are only available in softcover). It’s been a long time getting here, but I hope you have as much fun with it as I have over the years.